Implementing and managing the Armed Forces Health Longitudinal Technology Application (AHLTA) information management systems utilized for aerospace medicine and force health protection programs. 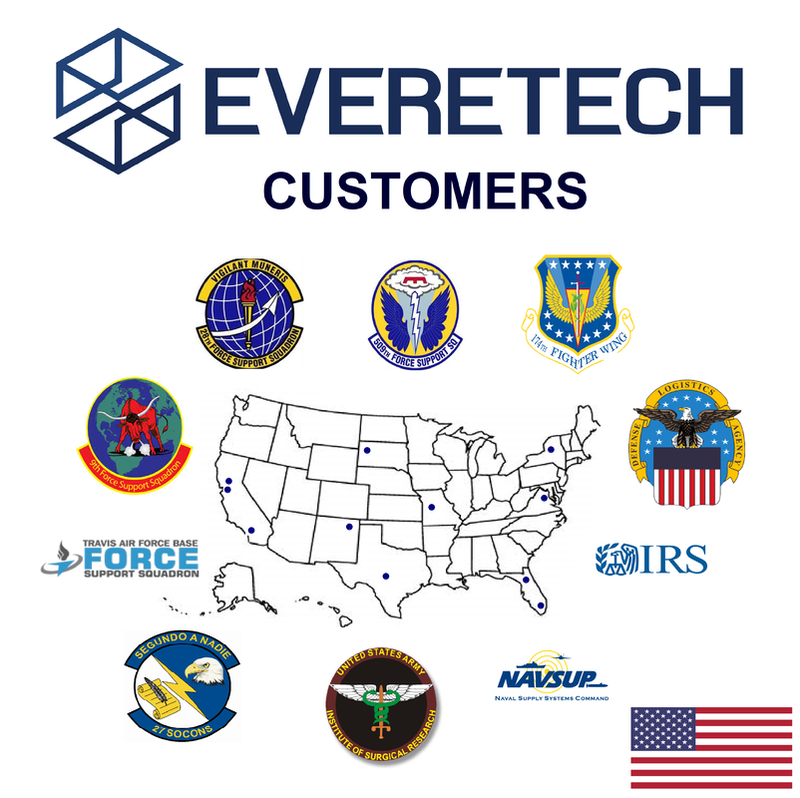 As a premier customer to the United States Air Force EvereTech provides technical assistance to users of the Discovery Resource Center (DRC) by assisting in the operation of computer-based programs and equipment available in the DRC. Serve as initial point of contact for all DRC software, hardware and user problems relating to Quality of Life network (QoLNet) issues. If the Contractor cannot resolve the problem he/she will contact the Work Group Manager (WGM) for assistance. The purpose of the A&FRC at Beale AFB is to aid in creating a self-sufficient and "mission ready" community directed toward mission readiness through individual and family preparedness. The A&FRC at Beale AFB provides multiple programs and services to accomplish this. Programs and services include: Readiness, Relocation, Transition Assistance, Family-life Education, Career Assistance, Personal Finance, Information & Referral, Volunteer, Program & Air Force Aid. Provide global IT capabilities, attributes, or services under multiple award, Indefinite-Delivery/Indefinite-Quantity (ID/IQ) task order type contracts that support the DoD, and other Federal agencies. This is a follow-on to Encore II – whose ordering period expires on 31 May 2018. Assist the government by providing IT solutions for the development, installation, fielding, training, operation, and life-cycle management of components and systems in the operational environments of Combatant Commands and their subordinate components, the military services, Defense agencies, Office of the Secretary of Defense, and other Federal agencies in 19 performance areas.